Still a bit under the weather and completely unable to taste anything. Stupid sinuses. So instead of boring you with my own stuff, I direct you to BrooklynGuy’s wine blog where his guest blogger, Deetrane, has posted three separate adventures buying stolen wine off of Craigslist. It involves fine restaurants, Mario Batali, police stings, illicit corner purchases, and more. Moral of the story – if the deal looks too good to be true, it probably is. Enjoy. 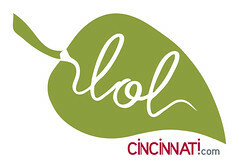 The usual Cincinnati event listings will go up around midnight.